Converting lossless to lossless does not lose quality. Encoders are listed at the top with the chosen codec settings shown underneath the selection. 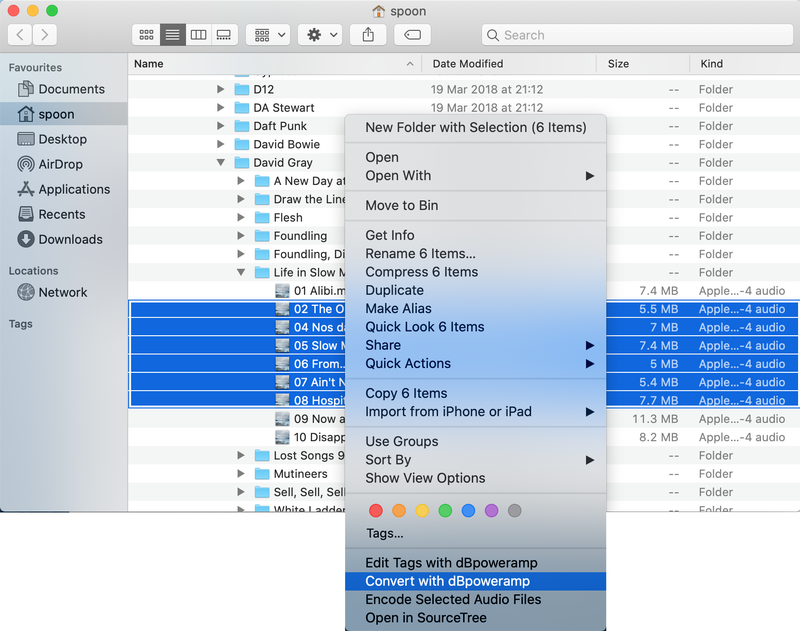 Clicking Converting x files lists all files queued for conversion and allows renaming. 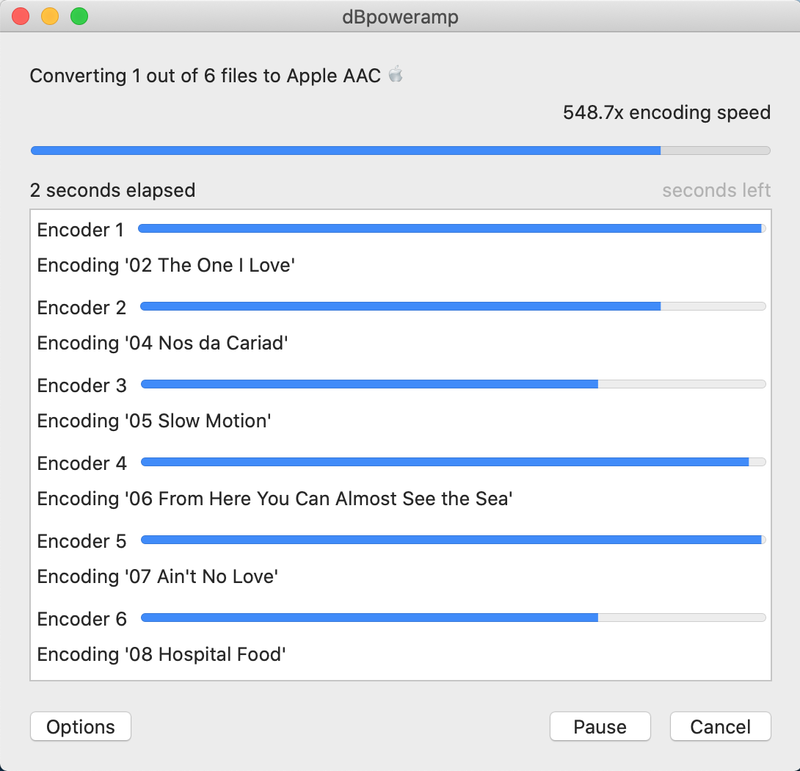 Overall progress is shown at the top, with encoding speed showing the combined realtime speed (example: 10 minutes long track takes 1 minute to convert has a 10x Encoding speed). 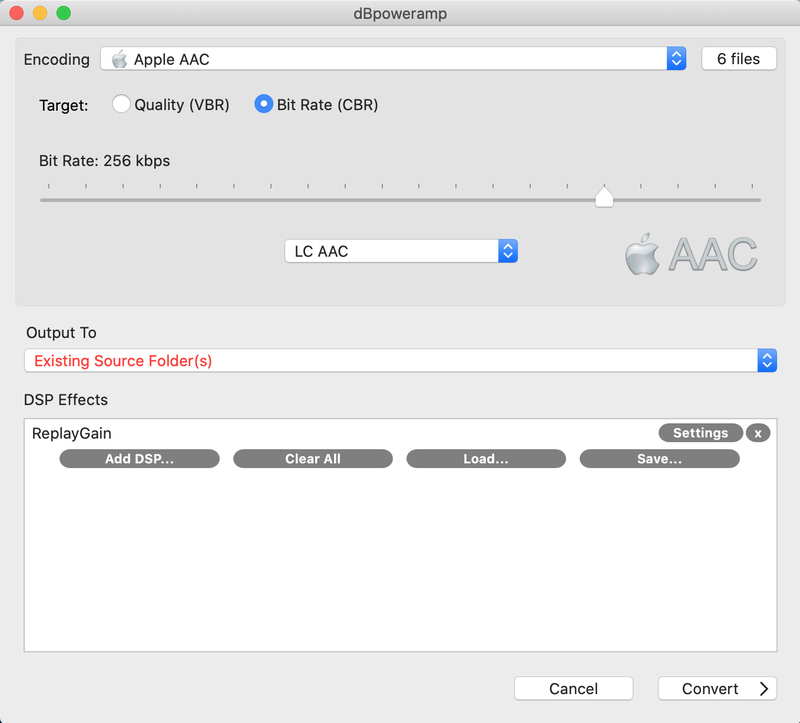 dBpoweramp Reference encodes using multiple CPU cores as many as your computer has, however multiple CPUs are sometimes not used depending on audio format (such as a lossless format, as the hard disk is likely to be the bottleneck not CPU). It is possible to force usage of specific CPUs with the DSP Effect 'Multi-CPU Force', especially if reading and writing to SSD drives. Alternatively reduce the number of cores in use by selecting Options >> Encoding. 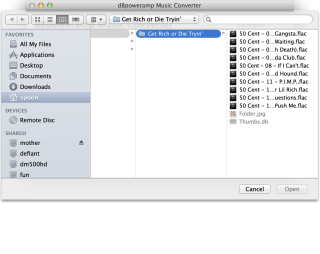 Another way to select files for conversion is with File Selector (run dBpoweramp Music Converter from the central launcher) a traditional Open File selection window shows to select tracks.